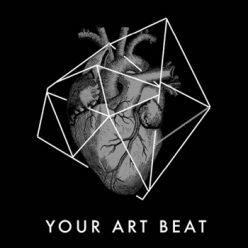 YOUR ART BEAT e.V. is a non-profit organization founded in the beginning of 2017. The leading motive of the association is the protection and preservation of cultural heritage of both past, present and future generations. We see our function in promoting and supporting artists. 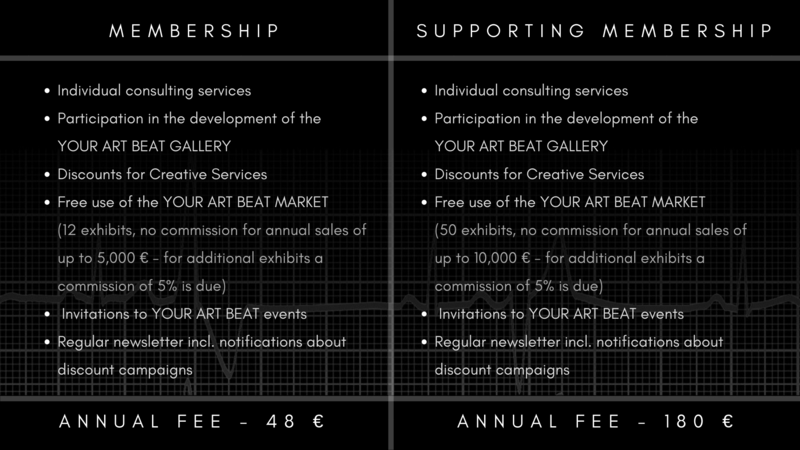 Furthermore, we are pursuing the vision of enriching the infrastructure of YOURARTBEAT with another tool: The YOUR ART BEAT GALLERY. This tool is somewhat immersive and a medially processed store where knowledge is generated in common, linked to categories and made available to society. With the help of the latest technologies and intermedia processing forms, creative content is not only tangible but leads to a new form of perception by addressing different senses and stimuli. With this future-oriented approach, we not only want to create a common art memory, but also give a new innovative form to the exchange, generation and expansion of knowledge. Donate here to the YOUR ART BEAT e.V. !